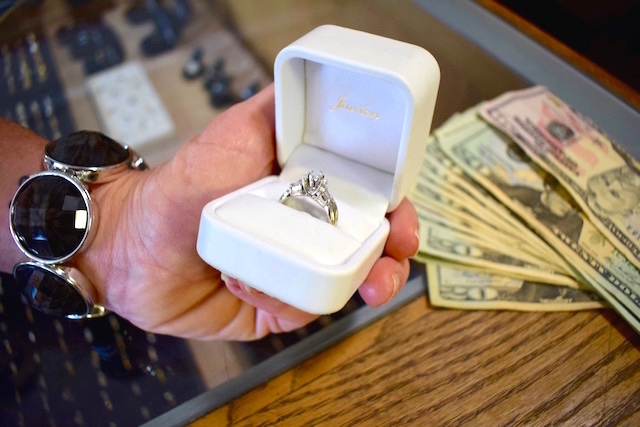 Would You Sell Your Engagement Ring to Make Extra Money? After seven years of marriage, Chris Durheim and his wife sold her engagement ring. It wasn’t to fund an emergency or forget a failed marriage. Their relationship is strong, and their finances are in good shape. Instead, they sold the ring as part of a larger move toward focusing on living the life they want. With their basic needs and wants met, “Over the last few years, we’ve pushed ourselves to dream bigger. We’ve stretched to identify what our priorities are, continuously asking what’s most important to us,” Durheim wrote for Keep Thrifty. Their list of priorities include quality time with family, travel, faith and living their passions. Not on that list? An engagement ring that spent most of its time on the shelf. What’s more important is the immense value their family is getting out of selling the ring. “By selling the ring, we have more money to do the remodeling necessary to sell our house. When we sell our house, we’ll downsize into something smaller and will hopefully be able to purchase that house mortgage-free. “By having no mortgage and saving on electricity, property tax, insurance and all the expenses that are proportional to the size of your house, our financial needs become much smaller. All that opportunity for their family has been collecting dust on a shelf. Minimalist to a fault, I admit I barely understand why the Durheims spent $6,000 on a piece of symbolic jewelry in the first place. But we’re all entitled to our priorities. What are you still holding onto that isn’t a part of your big dreams? Could you sell a wedding dress you’ll never touch again? Could you stand to live in a smaller house? Are your shelves and closets full of small junk you could sell? How important are your antiques and family heirlooms compared with the experiences you can share with your family’s next generation? Not one of these questions has a correct answer. You and your family have to set priorities together and decide what it takes to align with them. But if you’re asking me? Dude. Sell the ring, now. Your Turn: What sentimental items are you not willing to part with — and which are you willing to reconsider?